Vivint, a smarthome company based out of Provo, Utah, has raised $100 million in its first round of venture-capital funding. That's a big number for any company, let alone one you may not have heard of. Even more interesting, that investment was led by the famed investor and PayPal cofounder Peter Thiel alongside Solamere Capital, a venture firm cofounded by Mitt and Tagg Romney. It's Thiel's only known investment in the smart home industry. In fact, Vivint's whole existence is out of the ordinary for these kinds of massive venture deals. Vivint doesn't really sell gadgets the way companies such as Alphabet's Nest and Amazon do. 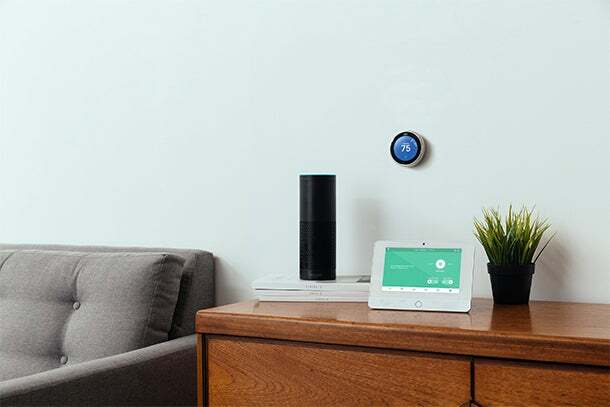 In fact, beyond the smart home components it makes in-house, Vivint will sell you an Amazon Echo or a Nest Learning Thermostat, if you really want one. Instead, Vivint sees itself more as a service than a product. Pay for a monthly service plan, which starts at about $54 a month, and the company's team of experts will install your smarter lights, thermostats, door locks, and whatever else and show you how to control all of it from its signature Vivint Sky smartphone app. If anything breaks, Vivint has a dedicated 24-hour customer-service line to help you fix it. If it can't be fixed remotely, the company will send help. And its engineers are always integrating more products into the app. Having experts handle the whole shebang is a welcome idea, given the weird, frustrating, and confusing state of the smart home market in which just getting started can be a huge headache. "We don't sell a piece of hardware and walk away," Vivint CEO and founder Todd Pedersen says. Vivint's in-house technology works with outside products like the Nest thermostat and the Amazon Echo voice assistant. Vivint's business model has a lot of overhead, Pedersen says. Customers on average have $1,200 of product placed in their home covered by the company's service plan, and that's beyond the cost of getting everything installed. Pedersen says that if a customer ditches Vivint, it can take the company 3 1/2 years to recoup that cost. But customers like Vivint's service so much, Pedersen says, that among its million customers, the average length of an account with the company is nine years. More important, Vivint says that it posted $650 million in revenue in 2015, with $387 million in EBITDA, a measure of profitability. Vivint's novel approach comes from outside what Vivint president Alex Dunn calls "the Silicon Valley echo chamber." The company was founded in 1999 as APX Alarm Security Solutions, your stock-standard house alarm system dealer. Over time, its ambitions got grander: In 2006 it started doing the home-alarm monitoring itself so it could own more customer relationships after the installation phase. Peter Thiel at the 2014 Web Summit on November 6, 2014, in Dublin. By 2011 the company saw the smart home trend coming and went to its alarm-system suppliers to ask whether they were working on anything that could help it make that transition. But the suppliers thought it was a fad, and they weren't shy about telling Vivint as much. "We were truthfully laughed at," Pedersen remembers. Undeterred, Pedersen says, Vivint still believed in the smart home and decided it would pursue it. APX Alarm became Vivint Smart Home in 2011, with a $565 million loan from Goldman Sachs to bring its vision to fruition. In 2011, Pedersen says, Vivint's business was still 95 percent tied to home alarms. 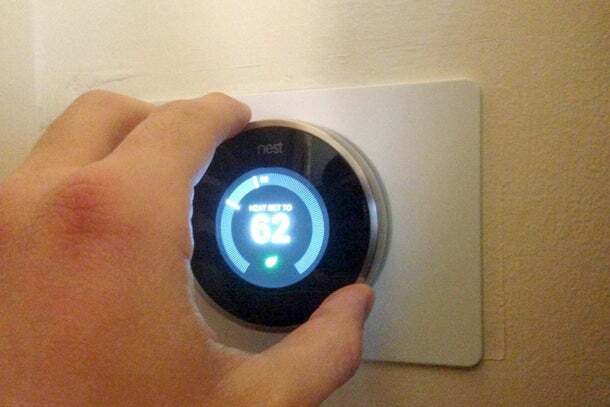 That has since shifted to 87 percent in smart homes. Vivint's vision hinges on selling an experience, not a single product, Pedersen says. People don't want a gadget, and they certainly don't want to have to navigate the ever-changing world of smart home standardization. They just want technology that can help them save time and energy and maybe impress their friends. And so Vivint focuses on making sure customers have a good experience, hiding how the sausage is made. Pedersen likens it to how the Apple II was the first PC that took what had been something that was very much for hobbyists and made it accessible to normal people. "I'm not buying a computer anymore -- I'm buying a system," Pedersen says of the Apple II. It's this integrated approach that appealed to Thiel, Pedersen says. It means Vivint can go to any customer, anywhere, and deploy teams that know exactly how to give a home a little more intelligence under the hood. It cuts down on complexity and makes it consumable to everyone, while also opening the door for customers to upgrade their plans later. That is why Vivint wanted to take the money in the first place, despite its disconnect from the world of Silicon Valley and its profitability, Pedersen says. They already do business all across the US, Canada, and New Zealand. Now they want to do more, in more places, all over the world. "For us, this is much, much more strategic," Pedersen says.